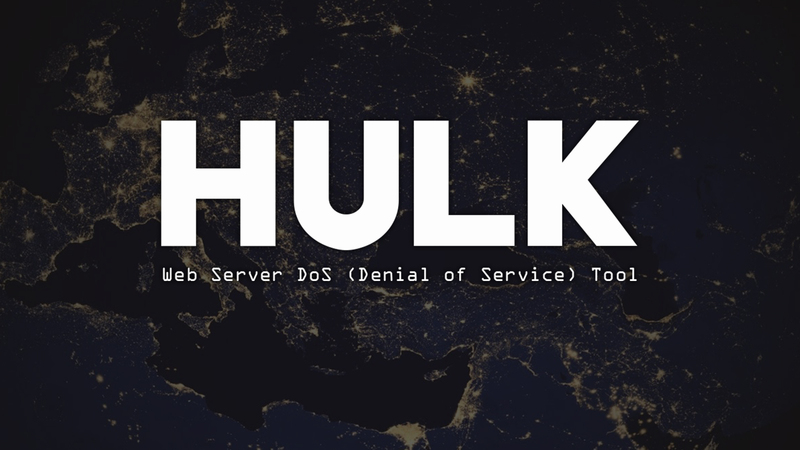 HULK (Http Unbearable Load King) is a web server Denial of Service attack tool developed by security researcher Barry Shteiman for research purposes. It is designed to generate volumes of unique and obfuscated traffic at a web server, bypassing caching engines and therefore hitting the server's direct resource pool. 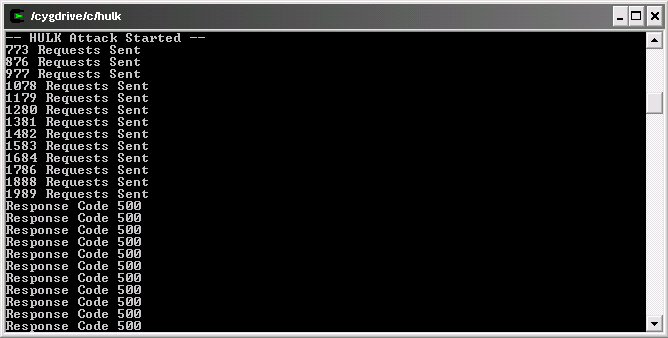 This tool is a dos tool that is meant to put a heavy load on HTTP servers in order to bring them to their knees by exhausting the resource pool, it is meant for research purposes only and any malicious use of this tool is prohibited. Obfuscation of Source Client - this is done by using a list of known User Agents, and for every request that is constructed, the User Agent is a random value out of the known list. Reference Forgery - the referer that points at the request is obfuscated and points into either the host itself or some major pre-listed websites. no-cache - this is a given, but by asking the HTTP server for no-cache, a server that is not behind a dedicated caching service will present a unique page. Unique Transformation of URL - to eliminate caching and other optimization tools, there are custom parameter names and values and they are randomized and attached to each request, rendering it to be Unique, causing the server to process the response on each event. Note: The "safe" word is meant to kill the process after all threads got a 500 error, since its easier to control in a lab, it is optional.